No idea if this is particularly original or interesting, but it has worked well for me in developing more assessment for learning tools. Based upon the Top Gear cool wall, I create a Cool Continuum across the desks in my room. 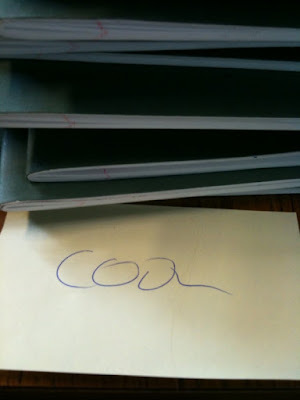 I either use a dry wipe pen or Post-It notes to label ‘Sub Zero’, ‘Cool’, ‘Uncool’ and ‘Seriously Uncool’. The activity is simple. 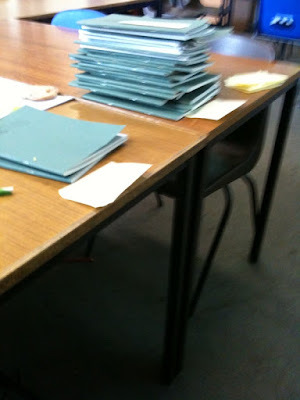 On their way out of the room, pupils self assess their work and place it in the pile they judge it to elong. Can also be adapted for peer assessment by getting a partner to place the work or book. If work has been completed work electronically, pupils place a Post-It in the correct place and email me the work.